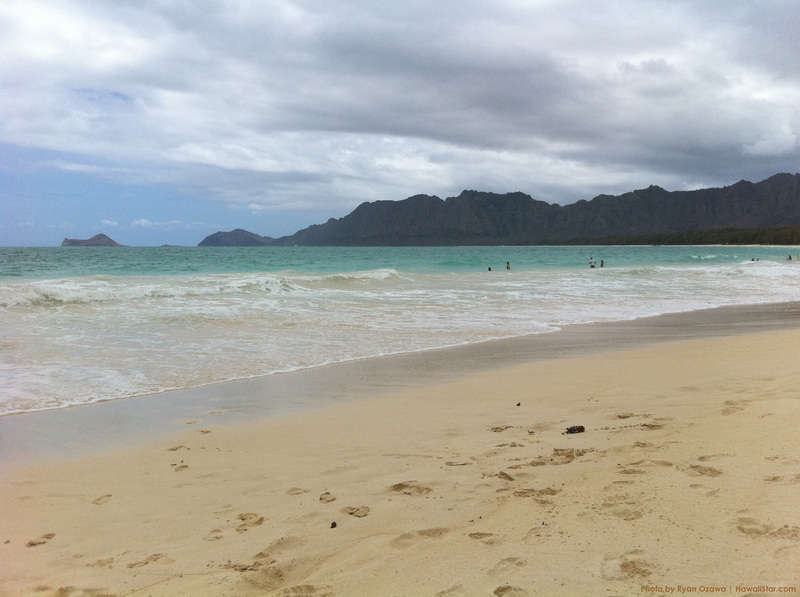 For the third year in a row, Hawaii residents were the least likely in the United States to say they felt stressed for much of the previous day. According to the Gallup-Healthways Well-Being Index, only 30.2 percent reported feeling stressed in 2010. Residents of Utah were the most likely to report experiencing stress, at 45.1 percent. These state-level data are based on daily surveys conducted from January through December 2010 and encompass more than 350,000 interviews. Americans’ average stress level was 39.4 percent last year, similar to 2009 (39.9 percent) and 2008 (38.8 percent). 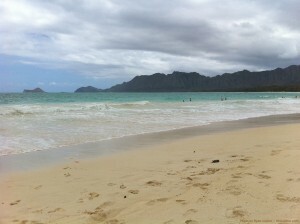 Hawaii has had the distinction of being the least stressed state for three years in a row. 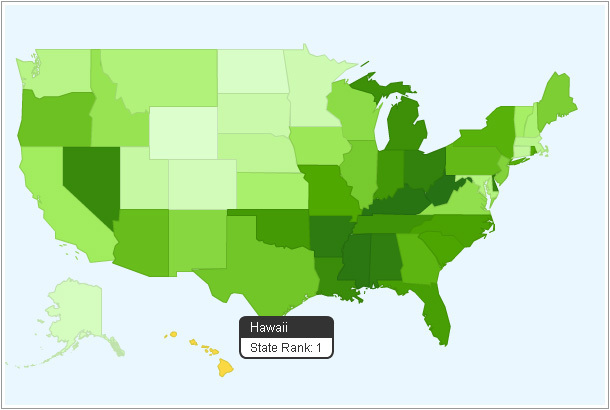 Utah and Kentucky have been among the top two most stressed states for the past three years. Stress levels decreased at least somewhat for residents living in about half of the states in 2010. This is a positive turnaround from 2009, when residents’ stress levels increased in most states. See page 2 for results for all states by year. States with 40% or more people reporting being stressed are mostly clustered in the West and Northeast, but also include Michigan, Ohio, West Virginia, and Kentucky. States with lower stress levels — where less than 38% of residents reported experiencing it — are primarily located in parts of the Midwest. The Gallup-Healthways Well-Being Index state data underscore that stress is a complex emotion that is likely related to numerous life issues. States where residents have higher levels of stress differ from each other on various fronts: Some have more high-income residents, while others have more low-income residents. Some, like Utah and Massachusetts, have residents who boast great physical health, while others, like Kentucky and West Virginia, have residents who are in poor health. And in some of the high-stress states residents rate their lives highly — as in Connecticut, Utah, and Massachusetts — while in others, residents rate their lives at the lowest end of the scale, as in Ohio and Rhode Island. That finances and health aren’t the only determinants of Americans’ stress levels reveals that earning more money or being in great physical shape doesn’t necessarily protect against all of life’s stressors. Family and career issues likely play a large role in individuals’ daily stress levels. Gallup’s “State of the States” series reveals state-by-state differences on political, economic, and wellbeing measures Gallup tracks each day.